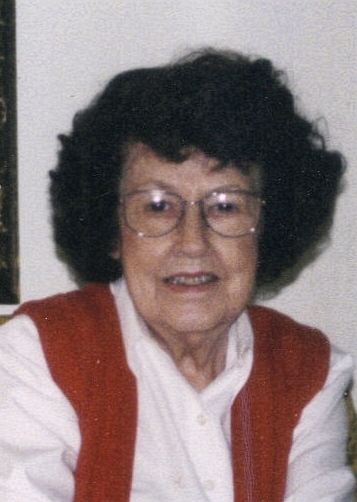 Beatrice Leimbach Hexamer, 93, long time resident of Sioux Falls, died Monday, November 23, 2009 at the Good Samaritan Luther Manor in Sioux Falls. Beatrice was born in Sioux Falls to William J. Sr. and Theresa (Kunkel) Leimbach on December 9, 1915. As a child, she moved with her family to rural Milbank, South Dakota where she attended grade school and graduated from Milbank High School. Then the family moved back to Sioux Falls. She was united in marriage to Willis Hexamer on July 8, 1939. Beatrice worked in sales at Montgomery Ward for 20 years after her children had grown. She loved flowers, gardening and home decorating, but her family always came first, even in her last days of life. Beatrice was a long time member of Christ the King Catholic Church. Beatrice is survived by a daughter: June Hexamer Albers; sons: James (Mary Anne), David (Jackie) and Pat (and significant other Kay Lynn Montis), all of Sioux Falls; four grandchildren, two great-grandchildren; and several cousins, nieces and nephews. We will all greatly miss her. She was preceded in death by her husband, Willis on March 19, 2006, a daughter, Mary Jo, her parents two brothers, a sister and a son-in-law, Leon "Tony" Albers. Visitation will be Friday, 6 PM at Barnett-Lewis Funeral Home with a Scripture Vigil at 7 PM. A Funeral Service will be Saturday, 10:30 AM in our chapel.